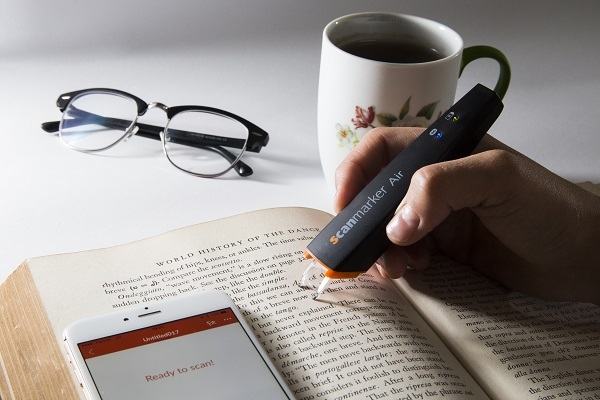 Study smart with Scanmarker Air! Scan and edit your notes on the go. Simply slide across a line of printed text and watch it appear instantly on the screen. Scanmarket Air features an ultra-portable design-scan wirelessly via Bluetooth connection to your computer, smartphone or tablet. Use our cutting-edge, patented OCR technology to scan directly into any application or our intuitive mobile apps. Save Time: Types like your keyboard – but 30 times faster. Translate: Instant translation into over 40 languages. Versatile: Scans editable text directly into your device. Read Aloud: Listen to the text while scanning. 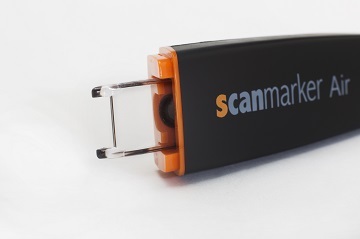 *The promo is not valid with other discounts and is valid for online purchases just on the website of Scanmarker. Once the card has been successfully verified, the voucher will be displayed on the next page.